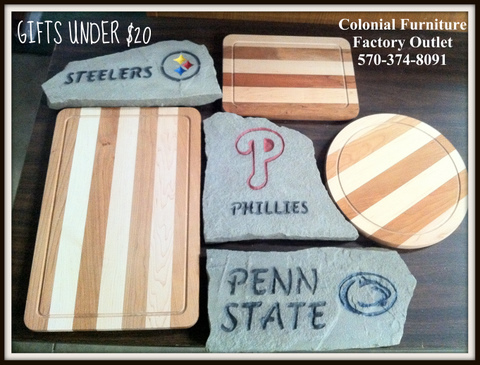 The Colonial Furniture Factory Outlet sells "Factory Seconds"
Call today to see what's in stock. To watch a video, push the white arrow below. Minor Blemishes = Major Savings. Note: GWS Delivery is not affliated with Colonial Furniture. They are highly rated on UShip. Directions to The Colonial Furniture Store and Furniture Factory Outlet. Take this exit and follow Route 322 WEST for approx 20 minutes. Approx 2 miles after you cross the Susquehanna River you will see signs for Routes 11 & 15 North. Turn onto Routes 11 & 15 NORTH. Stay on for approx 20 minutes. Look for a sign for Route 104 North. Bear left onto Route 104 NORTH. Follow this road for approx 10 miles until you come to a blinking RED stop light at the intersection of Route 104 and route 35.
and watch for a small "Factory Showroom / Retail Store" sign. *NOTE For the Furniture Factory Outlet, proceed on Route 35 North one block past the "Factory Showroom / Retail Store" sign and then turn right. Upon exiting Interstate 80, you will follow Route 15 SOUTH for approx 15 miles. Watch for the Susquehanna Valley Mall on your right hand side. Approximately 1/2 mile after passing the Susquehanna Valley Mall, you will see a large overhead traffic sign directing you to Route 11 SOUTH - Harrisburg. FOLLOW THIS SIGN. This will take you onto a bypass around downtown Selinsgrove, PA. Follow this exit STRAIGHT TO THE BLINKING RED LIGHT. After stopping, you will continue straight onto RT 35 SOUTH. Drive approx 4 miles on RT 35 South towards Freeburg, PA.
Look for a medium size sign for the "COLONIAL FURNITURE SHOWROOM" on your left. Turn LEFT on Center Square Street approx two blocks after this sign. *NOTE For our Furniture Factory Outlet, you will want to take the FIRST LEFT (approx one block) after the "COLONIAL FURNITURE SHOWROOM" sign. Follow Interstate 78 West to Harrisburg, PA until it intersects with Interstate 81. Take Interstate 81. Watch for signs for Route 22 & 322 West toward Lewistown. Turn onto Routes 11 & 15 NORTH. Stay on for approx 20 minutes. Look for a sign for Route 104 North. Bear left onto Route 104 NORTH. Follow this road for approx 10 miles until you come to a blinking RED stop light at the intersection of Route 104 and route 35. Upon entering Freeburg, proceed 2/3rds of the way through town and watch for a small "Factory Showroom / Retail Store" sign. Turn RIGHT at sign. 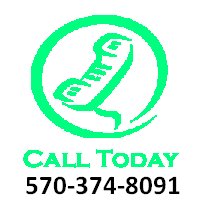 If you are having trouble finding us, call 570-374-8091.